Summary: Arihara Keigo - he excels in any role he plays, and he has a few awards under his acting. Arihara meets Matsushita, an idol and his co-star who struggles with acting. One day, Matsushita mistakes the dressing room and discovers Arihara's secret. The "aloof and mysterious" Arihara that everyone loves is actually a clutz with a sweet tooth! 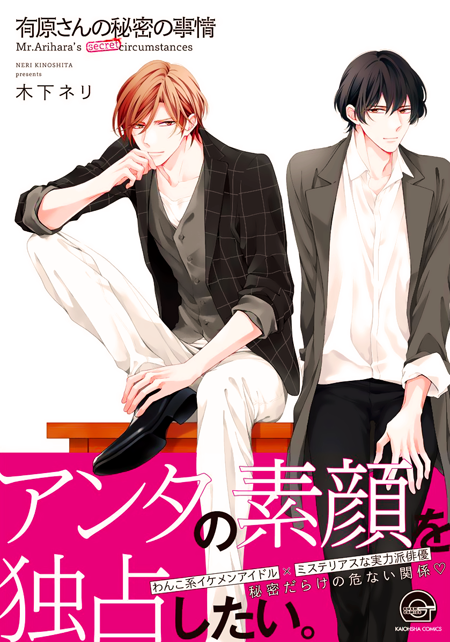 As the two become friends, Matsushita becomes interested in Arihara's real personality...!? Thanks for the resized file! I truly appreciate it! !